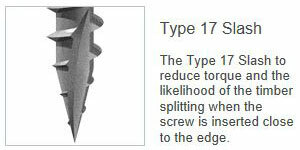 Designed as an alternative to the traditional Coach screws mainly used for timber to timber applications. Coated with a patented multi-layer corrosion resistant plating this screw is ideal for outdoor applications. 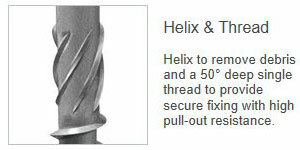 Also available with a wafer head for improved clamping or a low profile finish. 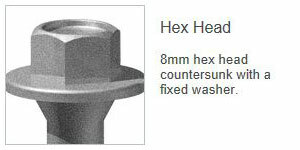 Available with a 8mm hex head countersunk with a fixed washer. Plated in olive green to withstand up to 1,000 hours (min) salt spray resistance and A4 marine grade stainless steel to withstand up to 1,000 hours (min) salt spray resistance.